« Google Earth is Becoming Google Water! this may be the most useful post yet, because no matter what, where or when, we all must eat, and food distribution allows this sort of agriculture and processing abuse. Marguerite calling all minds–wake-up -call: time to initiate a food revolution here–no more nanos in my food, please. I applaud the efforts for more transparency in our food chain. 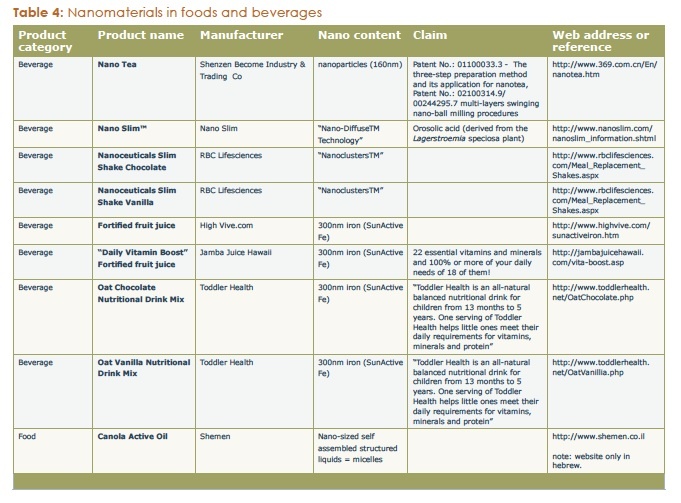 From the quick reading I’ve done on this subject (triggered by your post) I infer that nano particles in food is not the biggest thing we have to worry about. Better get people on a moderately healthy diet and exercise first. Better safe than sorry. But focus on what’s known to help first. I don’t know if there are nano particles in the few processed products I regularly consume, and I don’t intend to delve deeply in it. I’ve got better things to spend my time on. Thanks Nadine. Yes, we need to be ever more vigilant about our food and start a revolution beyond the limited circles of the green elite. So glad to have you at my side, sister! Meryn, thanks for your feedback, and for the two excellent articles. Keep up all your good work! I know you’re interested in biodiversity – have you seen this? Amazing video, Simon. This gives me high hopes for the collective intelligence of the human race. Simon, I’m just thinking: Hey, if ants can, why couldn’t we? It’s not like we have less brain power, or less powerful means of communication. Thanks for this extremely informative post… WOW! Between irradiation, GMO’s, pesticides, herbicides, nanoparticles, it seems like our “protective” agencies are one taco short of a combination platter! Thanks Simon, for remembering. And for sharing this awesome video! Wow, this is some scary info. Who exactly do the industry executives rely on for assurances about the safety of these substances, the scientists that invent and sell the applications? What an article.. Thanks for bringing awareness to this litte known subject. I like the format of the posts. Simple and straight to the point. I bet you’ll be able to even do better. Write a lengthier write-up and show us what you are able to do. I have no doubt you might produce even much better content. I have subscribed to many blogs but this 1 is definitely a keeper! Hello, I had a quick question regarding the books you used for this blog. Can you point me in the right direction for more sources related to the subject? Thank you for posting this. 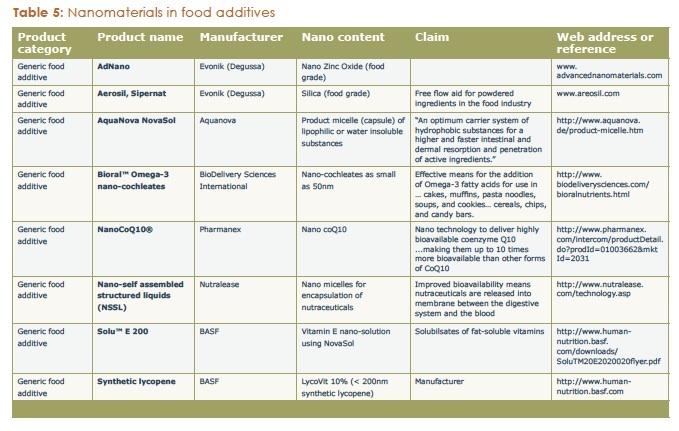 There really needs to be a push to label nanoparticles added to our food. This is a big sleeper. The Rockefeller Foundation feels it important to make sure little and only good PR goes out and not suffer the same bad PR as Genetically Modified Organisms (GMO). 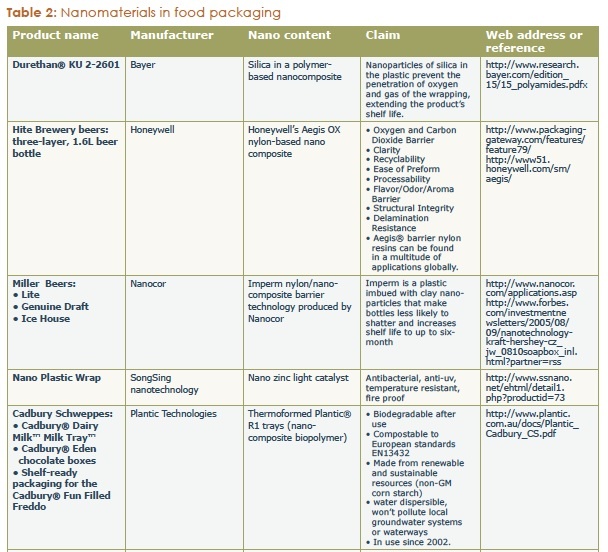 Do we really want the large food corps sneaking nanoparticles into our food? can nanoparticels used for controlled release in food ? If there is any product related to this plz answered or is it possible. What’s up, after reading this amazing post i am also cheerful to share my experience here with colleagues.